Reptile Hobbyists – Helping or Hindering Reptile and Amphibian Conservation? While over-collection and poorly-prepared pet keepers have certainly led to declines in wild populations of some species, private hobbyists have also contributed immensely to the conservation of amphibians, invertebrates and reptiles (as well as fishes, birds and mammals). This is especially true of those animals which zoos lack the interest or space to maintain…often the very creatures most favored by private keepers. A lack of funds and space in zoos led the establishment of the Turtle Survival Alliance, the largest turtle rescue effort ever launched. The Alliance was organized in response to unprecedented declines in freshwater turtle populations throughout Asia – a phenomenon that has come to be known as the Asian Turtle Crisis. Studies in several countries recently hinted that snakes may be declining worldwide, in much the same manner as has been shown for scores of amphibian species (please see article below). This month (October, 2010), scientists at the University of Arizona have documented massive declines in both snakes and lizards in a well-protected reserve, adding to fears that major extinctions lie ahead. 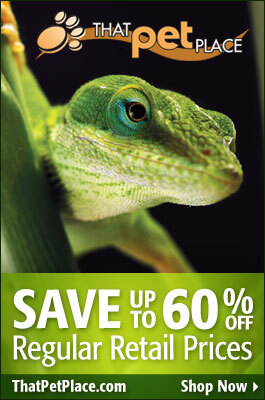 Reptile Awareness Day – Lend Your Favorite Creatures a Helping Hand! Our favorite animals’ own holiday, Reptile Awareness Day (RAD), will soon be upon us. On Wednesday, October 21st, herp enthusiasts can participate by doing something special for reptiles – educate someone about reptiles, clean up a reptile habitat, do something special for your pet, make a donation to a conservation organization…the possibilities are endless. The Bronx River as Herp Habitat? I’ve been involved in a few such endeavors over the years. One of the most gratifying was in conjunction with Bronx River Restoration. Neighborhood children were recruited to help remove debris that had accumulated along that part of the Bronx River that passes through the Bronx Zoo. A surprising array of reptiles and amphibians (i.e. snapping, painted and musk turtles, green and bull frogs, dusky salamanders) live along the river, but they need a hand on occasion. We also trimmed overgrown banks to let in sunlight and improve basking opportunities for resident Eastern painted turtles and added tree stumps to the shallows. On return visits to the river, the children were happy to see both turtles and water snakes utilizing the new basking spots. Another surprisingly effective project that I enjoyed was the reintroduction of northern water snakes to the banks of the Bronx River and nearby ponds. Working on conjunction with several wildlife agencies, I collected water snakes from approved areas and released several gravid females. I also held back a few animals for captive breeding, and released the young (1 huge female gave birth to 89 live young, a near record!). I’m delighted to report that the water snakes are breeding in their new habitat. If this can be accomplished in the center of the country’s most densely populated city, just imagine the potential that exists elsewhere! Please Note: Reintroduction programs must be carefully researched and approved by your state Fish and Wildlife Agency. Have Fun, Help Reptiles and Win Prizes! Forgotten Friend Reptile Sanctuary, a reptile rescue and education organization located in Elizabethtown, PA, is sponsoring a contest in support of Reptile Awareness Day (RAD). So lending a hand to reptiles will not only feel good…it may just earn you some great prizes as well (Including a $50 gift card from That Fish Place/That Pet Place)! To enter, simply post a note describing your “reptile friendly” good deed on Forgotten Friend’s site. Anyone in the Central Pennsylvania area should be sure to tune in to the morning shows at FM 97 or WJTL FM 90.3 on October 21st – Forgotten Friend Reptile Sanctuary representatives will discuss their important work and suggest ways that we can help to make the world a better place for our reptile friends. We don’t have an Amphibian Awareness Day yet, but please don’t forget that frogs, salamanders and caecilians also need a hand. As you can see from the photo, even the youngest herpetologists among us can express real tenderness towards small creatures (the sturdy little fellow pictured here usually goes through life like a bulldozer!). Children are the conservationists of the future – include them in your hobby if at all possible.